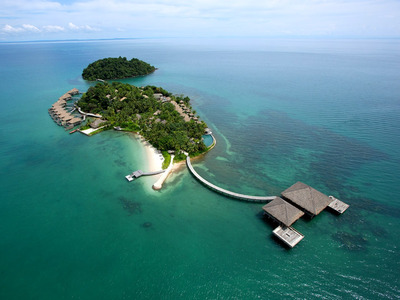 Facebook/Song Saa Private IslandSong Saa Private Island spans both the islands of Koh Ouen and Koh Bong in Cambodia. You shouldn’t have to fight through crowds on your summer holiday. We’ve put together a list of 20 resorts, villas, and rental properties that are located on incredible private islands around the world. These range from all-inclusive hotels to accommodations that were created specifically for couples. From Fiji to the Florida Keys, here are 20 off-the-radar locations where you can have an unforgettable private getaway. While some of these properties are the only ones on an entire island, others share their space with a few other guests. 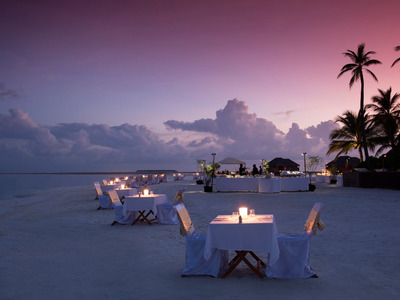 Club Med Villas de Finolhu is an all-inclusive resort set on the island of Gasfinolhu in the Maldives. Its eco-villas -- designed for couples only -- include access to a 3,000-foot-long beach, a butler, and a chauffeur who can pick you up from the airport. Activities like snorkelling and yoga are included in the package, and visitors can enjoy dinner while overlooking the Indian Ocean. 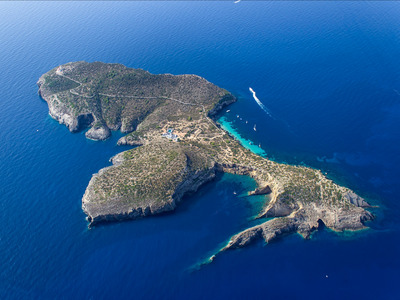 On the private island of Tagomago, which is a short distance from the Spanish island of Ibiza, you can stay at a luxury villa equipped with five double bedrooms, spacious dining areas, large outdoor terraces, and a swimming pool. The villa can be leased on a weekly basis, and the island itself has plenty of idyllic pathways for trekking and birdwatching. 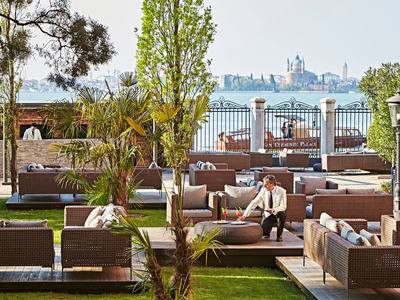 San Clemente Palace Kempinski Venice is located on the private island of San Clemente in Venice, Italy, just 10 minutes away from Piazza San Marco. Boats transport guests to rooms and suites equipped with lagoon and garden views. The San Clemente Suite can be extended to be eight rooms, and there's a private pier for yachts. 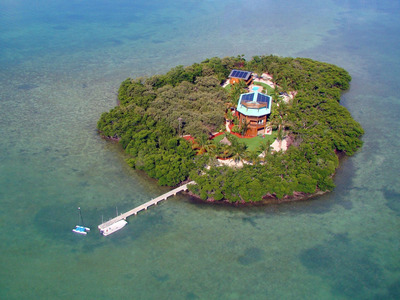 This private island vacation home on Melody Key may be one of the Florida Keys' best-kept secrets. The island has a three-bedroom, 3,500-square-foot vacation home equipped with a state-of-the-art solar system and outdoor areas for enjoying the views. Guests can also enjoy activities like fishing, snorkelling, sailing, and jet skiing. 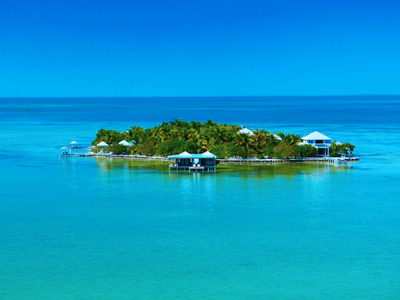 Parrot Cay by COMO is a luxury resort set on its own private island in Turks and Caicos. The resort has plenty to offer, like a mile-long beach, customised private dinners, snorkelling excursions, and meals that can be enjoyed on the beach, in your villa, or at one of the resort's restaurants. Accommodations include villas and houses with private pools, direct beach access, and butlers. 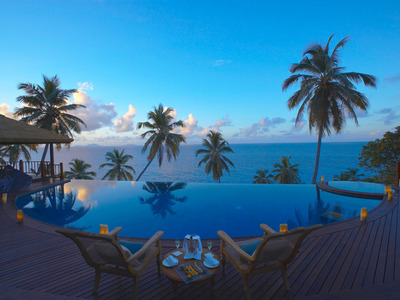 Fregate Island Private, a resort on Frigate Island in Seychelles, is a nature lover's paradise, with thousands of tropical birds and Aldabra tortoises that roam the island. The resort includes 16 residences as well as the Banyan Hill Estate, which offers the services of a personal chef, butler, maid, and personal island buggies. 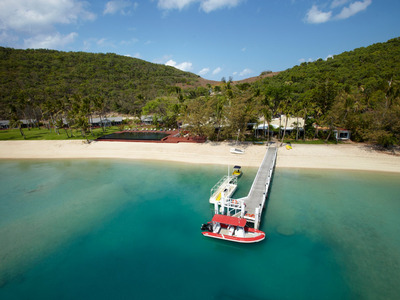 Stay on the waters of the Great Barrier Reef at Australia's Orpheus Island, which only hosts 28 guests at any given time. 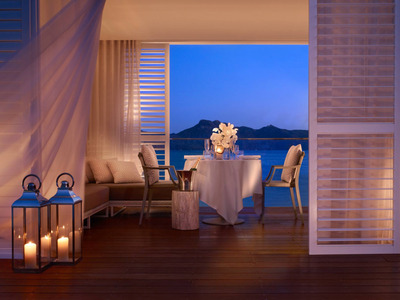 With experiences like a candlelit dinner on the pier, travellers will feel like they're in their own private paradise. There's also a diving site where you can see thousands of marine species up-close. 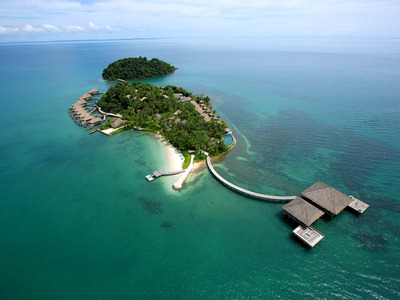 Song Saa Private Island spans both the islands of Koh Ouen and Koh Bong in Cambodia. 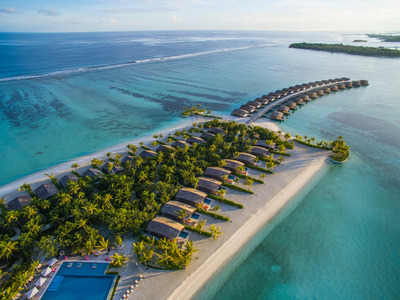 The two islands are connected via a footbridge that sits above a marine reserve, and accommodations include over-the-water villas with jungle and ocean views. Instead of traditional spas, guests will find various treatment villas nestled in the rainforest and around the islands. 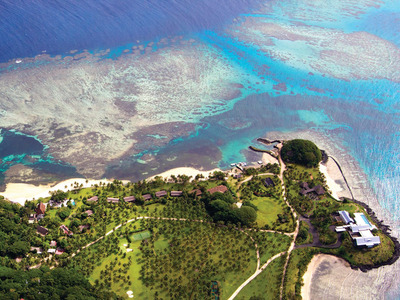 Laucala Island has 25 villas set in various locations around its northern coast. Guests can take advantage of its 18-hole golf course, which is surrounded by volcanic mountains and views of the Pacific Ocean, or go for a ride in the DeepFlight Super Falcon, a custom submarine offering 360-degree views of the ocean. One&Only Hayman Islands sits near the northernmost part of Australia's Whitsunday archipelago, in the heart of the Great Barrier Reef. 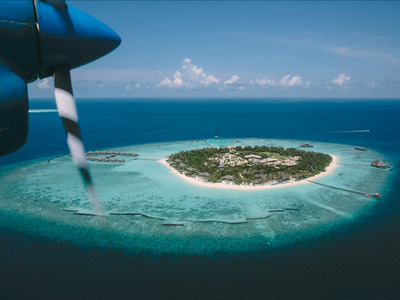 Guests can opt for seaplane, helicopter, and yacht transfers. They will be rewarded with direct access to impeccable diving and snorkelling adventures once they arrive. 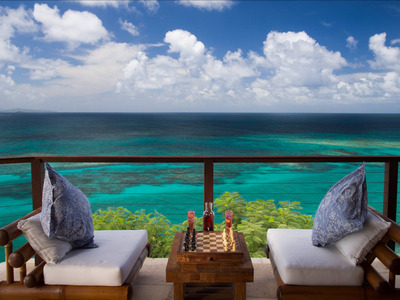 Necker Island, Richard Branson's private island getaway, is located in the British Virgin Islands. Adorned with luxurious touches, the resort includes everything from a floating sushi bar to complimentary champagne you can sip upon your arrival. Enjoy activities like kitesurfing and ziplining, or head to one of the island's legendary beach parties. 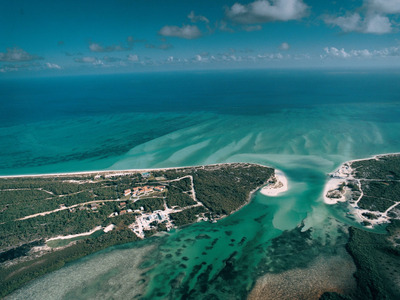 Azura Quilalea, located on a private island in Mozambique, lies within a fully protected marine reserve that offers visitors prime snorkelling and diving opportunities. You can also kayak through the island's mangroves and see humpback whales from July through November, nesting turtles from November through April, and dolphins year-round. 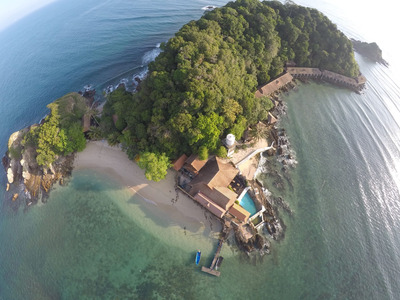 Gem Island Resort and Spa is located in a marine conservation park in Malaysia that has stunning underwater seascapes of coral and marine life. There are a total of 45 seaside villas that hug the surrounding coastline and come equipped with a balcony and swings. Located in the Noonu Atoll in the Maldives, Velaa Private Island has various over-the-water villas, pool houses, and private residences for guests to choose from. Each of the private retreats here are built using local materials, and the resort's wine cellar includes more than 500 bins of rare bottles. 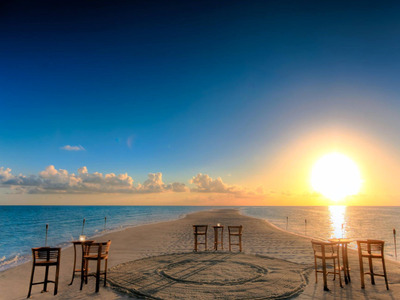 Musha Cay is a 150-acre private island located within the Exuma chain in the southern Bahamas. Owned by famed magician David Copperfield, the private island has five different guest houses, each of which comes with their own private beach and includes the services of butlers, maids, and cooks. Guests can also catch a movie at the outdoor theatre, which comes complete with cosy chaise lounges. 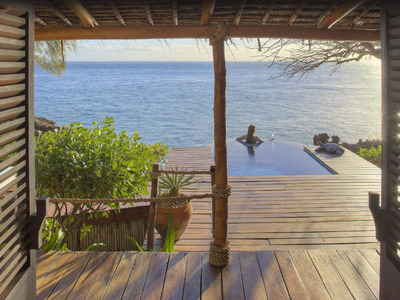 The Wakaya Club & Spa is a luxury resort set on Wakaya Island, a 2,200-acre island in Fiji. The island sits surrounded by a protected coral reef and has plenty of lagoons, cliffs, and white-sand beaches to explore. Accommodations include 10 free-standing waterfront cottages, each of which offers 1,650 square feet of privacy and comes with a secluded garden and two outdoor decks. 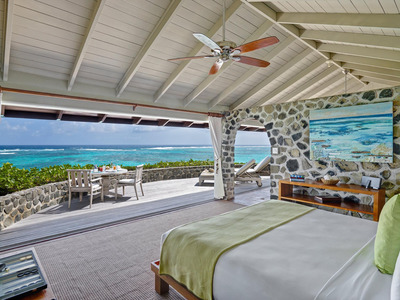 Petit St. Vincent, located in the southern tip of the Grenadines, makes for a truly off-the-grid vacation, as it's completely unplugged from TVs, Wi-Fi, and international phones. The resort has one-bedroom cottages, two-bedroom beach villas, and both a hillside and a beachside restaurant. 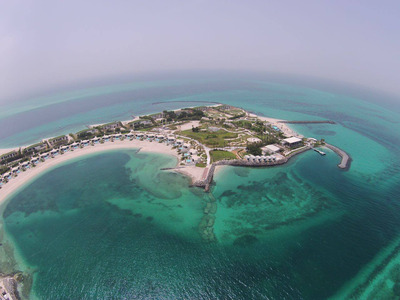 At Zaya Nurai Island in Dubai, guests will find accommodations built directly onto the beachfront of the island's southern coast. The resort includes villas and beach houses that come with a private pool, as well as an estate that comes with its own private beach. Guests can enjoy fresh fish at its restaurants, or enjoy activities like paddleboarding and kayaking. Despite its proximity to both Miami and Houston, the private island of Cayo Espanto in Belize remains a hidden gem. Accommodations here include a few beach villas and an overwater bungalow. Local ingredients are used to prepare personalised meals, which are based off of a survey guests fill out before arriving. The Conrad Maldives Rangali Island sits surrounded by the Indian Ocean in the Maldives. 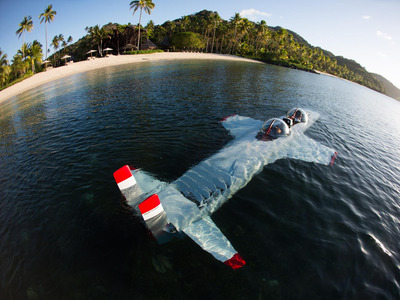 Guests who are transported here via seaplane can indulge in experiences like swimming with whale sharks or dining at the hotel's underwater restaurant. Afterwards, guests can retreat to their aquatic villas or pamper themselves with a massage at the resort's over-the-water spa.